The ugliness of our past is buried in that dirt. The hurt. The anger. The loss of innocence. The rejection. The fear of inadequacy. The shame. The regrets. The dreams lost to “what if…” But if we don’t do the painful work of digging those things up and go through an intentional “death” experience of facing those negative things, a resurrection can’t happen. The dirt does not allow the flower to grow. Yes, you probably already feel some apprehension about reading this blog. You have done a lot of work to keep your life comfortably numb (this work has exhausted you more than you realize). Or you are used to the roller coaster of disasters in your life and you’ve finally stabilized your life to be safe. You just want to stay in this safe season a bit longer. And I’m asking you to dig through your dirt. Of course, I’m asking you to do a brave thing. Dealing with the bad stuff in the dirt causes two things to happen. First, you will be ridding yourself of the pain and/or sickness you have been carrying around and the effects it is having in your life (besides the exhaustion you’ve been feeling as you’ve been working so hard to keep your life together). Grief that is ignored (this negative stuff is worth grieving over, you are worth grieving over) turns into depression or hopelessness. Hurt turns into cynicism, lack of trust, or worse. Anger turns into bitterness and hatred. Unresolved matters of the heart directly affect your goals. Which words listed are evident in your life? 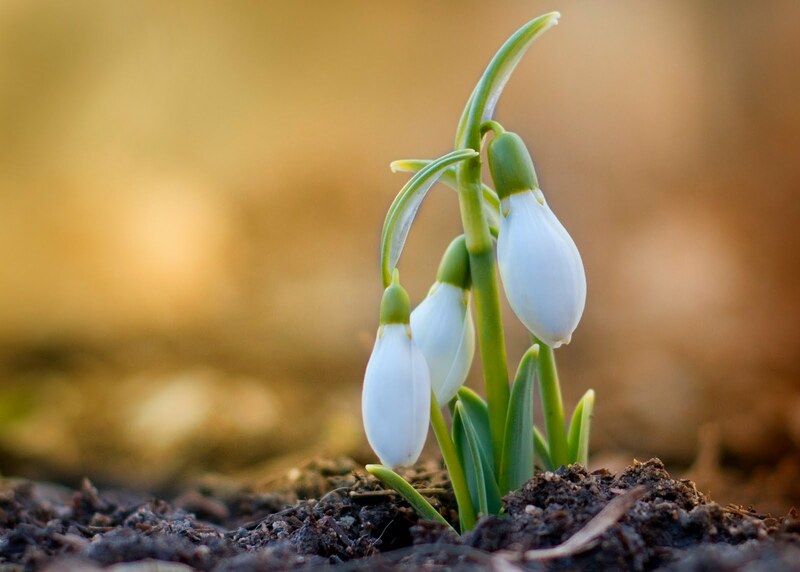 Second, every time you face one of those sicknesses in your dirt, something better emerges. That flower grows. Sometimes new solutions are found to face and solve problems. Sometimes new depths of your soul are discovered. You get back what was taken and you find extra character too. You flower in ways you had only dreamed you could. Those wise people you respect so much, they understand this and grow through the process willingly. You want to be that wise also but you already feel so exhausted maintaining the status quo of your life. Without realizing it is the maintaining of that status quo that is exhausting you. Growth brings life. Growth brings dynamics to your life. What you dig out of your dirt will be a mixture of both good and bad. You will find dreams, talents, pains as well as ugly stuff like resentment and hatred. Both the good stuff and the bad stuff can be scary. The dreams can call you out of your complacency and expose a risk for you, a change that you may need to make. The ugly stuff can shatter your nice picture of yourself. Both are you, and that is okay. You are going to be okay. Your job in this process is to dig it all up and then do one of two things: sow it or throw it away. If it is good, plant it, water it, fertilize it. If it’s ugly or painful, process it, mourn it, heal it, repent of it. This is making that brave decision and then the next brave decision and then the next brave decision until this becomes your pattern–2 Timothy 2:13-14 – Hold on to the pattern of wholesome teaching you learned from me—a pattern shaped by the faith and love that you have in Christ Jesus. Through the power of the Holy Spirit who lives within us, carefully guard the precious truth that has been entrusted to you. Welcome to your new pattern of imperfect progress. 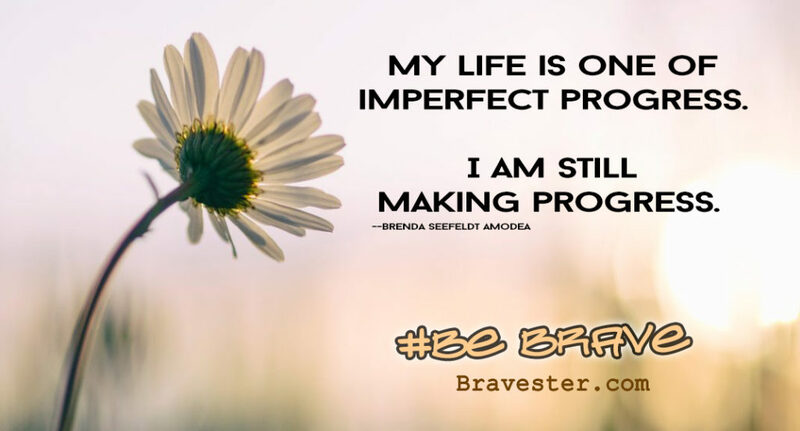 Put that on a sticky-note on your mirror: My life is one of imperfect progress. Just make progress. The redemption of your life is not an escape. It is a journey. A forward-moving journey that may have a stable run, that may be baby-steps, that may have setbacks, that may need do-overs. The good news to your soul is God is long suffering. He lets change happen on your terms. He loves you in that dirt and will wait for you to do a brave something to spur this growth that is promised to you. Hello, flower. It is good to see you. Read also: Even Flowers Have to Grow Through Dirt.